Critical Mass Books, 9780996989206, 350pp. 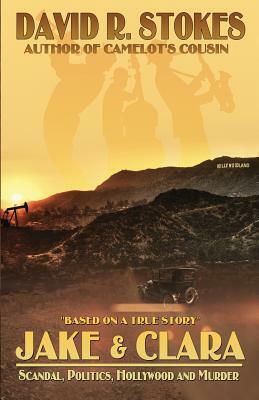 JAKE & CLARA is based on a true story about scandal, politics, Hollywood--and murder--from the dawn of the Jazz Age. When Warren Harding won the White House in 1920, his campaign received millions from Jake Hamon--"The Oil King of Oklahoma." Harding planned to make Jake the most powerful businessman in America. But Mrs. Harding (some called her "The Duchess") had one condition--Hamon, a married man, had to end his affair with his long-time mistress, a girl named Clara. By the time Jake died, Clara was in the wind. A headline-grabbing national search was conducted for the beautiful fugitive. Clara "sightings" were reported far and wide. A pair of colorful lawmen found Clara in an unlikely hiding place and brought her back to Ardmore, Oklahoma to face the charge of first-degree murder. What followed was one of the most sensational murder trials of the era. A "dream team" of powerful lawyers surrounded Clara in the courtroom. Soon Hollywood came calling, wanting to put Clara's story on the big screen...starring Clara as herself.